My name is Bill Curran. I have had my home up for sale and after some negative experiences with other real estate agents, I decided to sell my home myself. With a sign on my lawn, "For sale by owner," Maryann Arceri and her partner Lisa Molinelli had inquired about the sale. At first I was hesitant to sign with another real estate agency. After a brief discussion with Maryann about the advantages of signing with Bel Breeze Real Estate, I felt that it would be the right decision to sign with Maryann. In our discussion, I felt there was the right mixture of professsionalism, enthusiasm, and determination that would get my house sold. Since signing with Bel Breeze Real Estate, I am more than pleased. From the owner Isabel to the secretary Robin, everyone in this company treats me with respect. I understand that ultimately this is a business, but I feel they go above and beyond to help me in my sale. An example of this is: While trying to sell my house, I had gone through two major operations. As a result, I was unable to do certain things I would like to have done before showing my home. When I explained this to Maryann, she had offered to come to my home and assist me with painting. Right there I knew I had made the right decision. How many real estate agents would offer that kind of service? I would give Maryann my highest regards in terms of recommendations. I would feel more than comfortable having her represent any of my friends and family. In a business where people often question the intentions of their real estate agent, she has made this process very easy. She has been an absolute doll throughout my selling process. My only regret has been not meeting and signing with Maryann earlier. Sold a Single Family home in 2005 in Wading River, NY. Bel Breeze sold my Wading River house AND found my new house in Smithtown....and did it quickly in a slow market :). It was a pleasure working with Kalli, her easy going manner put us at ease during all phases of selling and purchasing. I would recommend her as a realtor to anyone looking for professionalism mixed with charm. Sold a Single Family home in 2003 for approximately $500K in Wading River, NY. I used Kalli Suarez not only to sell my home but to find another place to live. The time, care and concern she put into a very emotional time of our lives will never be forgotten. Thank you! for all you did to ease the transition. Sold a Single Family home in 2012 in West Islip, NY. My husband and I were extremely pleased with Bell Breeze Real Estate. Our agent, Victoria King, was very helpful and knowledgeable about the recent sales in our area. Victoria was friendly and professional. With her guidance, the sale of our home went smoothly. We would defiantly recommend her to others. Bought a Single Family home in 2010 for approximately $350K in Rocky Point, NY. My agent was very professional and friendly. Victoria King worked hard to findus the perfect home. She kept in contact with the seller's agent so negotiations between both clients went smoothly. Buying our house was a wonderful experience because of Bel Breeze Realty. Helped me rent a Single Family home in Sound Beach, NY. Katherine Batal assisted my family with our transition from Florida back to Long Island. During this stressful time, Katherine kept me calm during the process and made me realize that everything will work out. Her expertise and knowledge of the local area is why I chose her to help us find a rental until we are ready to purchase. Rest assured she will be called upon to assist in finding us our new home in the near future. I highly recommend giving her a call for ALL your real estate needs! Showed home in 2012 in South Manor, Manorville, NY 11949. Just like to say a few words about Bel Breeze Realty and its associates. I have found them to be honest, forthright, courteous and extremely professional. Yet, they have heart. That is to say that they really care about the buyers or sellers wants and needs. With Bel Breeze it is not a matter of commission but a matter of fruition. To help clients to realize and ascend to that ancient, yet plausible, “Great American Dream”. Undoubtedly, Bel Breeze and its associates are among, if not the best in realtors! Sold a Single Family home in 2005 for approximately $825K in Miller Place, NY. BEL BREEZE REAL ESTATE HAS BEEN ONE OF THE MOST HONEST AND ATTENTIVE COMPANYS I HAVE EVER WORKED WITH.. I WOULD DEFINATLY RECOMMEND THEM TO MY FAMILY AND FRIENDS. Bought a Single Family home in 2012 for approximately $400K in Setauket, NY. Kalli Suarez from Bel Breeze was our realtor for the purchase of our first home. She made the unknown process comfortable and her guidance and experience helped us every step of the way. She was honest, and easily accessible. We highly reccomend her! Sold a Single Family home in 2011 for approximately $175K in Selden, NY. My husband and I were so impressed with the agent Victoria King as well as the broker Isabel during our listing and sale. Their knowledge of the area as well as the professionalism of everyone on the team made our listing and selling experiences a BREEZE! We recommend them highly! Sold a Single Family home in 2012 in Rocky Point, NY. I have nothing but positive things to say about my experience with Bel Breeze. Kathy Batal is wonderful, respectful, and always gets back to me in a timely manner. Bought a Single Family home in 2011 for approximately $450K in Sound Beach, NY. I recently had the good fortune to deal with Katherine Batal on a new home purchase in Sound Beach. I was thoroughly impressed with Kathi's professionalism and conscientious follow up on every last detail to allow the transaction to come to a timely, and very satisfying, conclusion. I am a very demanding client, and I push for things to move along in a smooth and expeditious manner. Kathi's intervention on my behalf made that possible. She knows her business and the best way to get things done in this particular area of Long Island. Many thanks Kathi! Sincerely, D.C.
Sold a home in 2007. Victoria King, from Bel Breeze handled the sale of my late mother's condo. She, and the entire Bel Breeze team were so professional in all aspects of conducting the sale process! Victoria worked tirelessly to promote the property and through her determined efforts the sale went through garnering a great sales price. 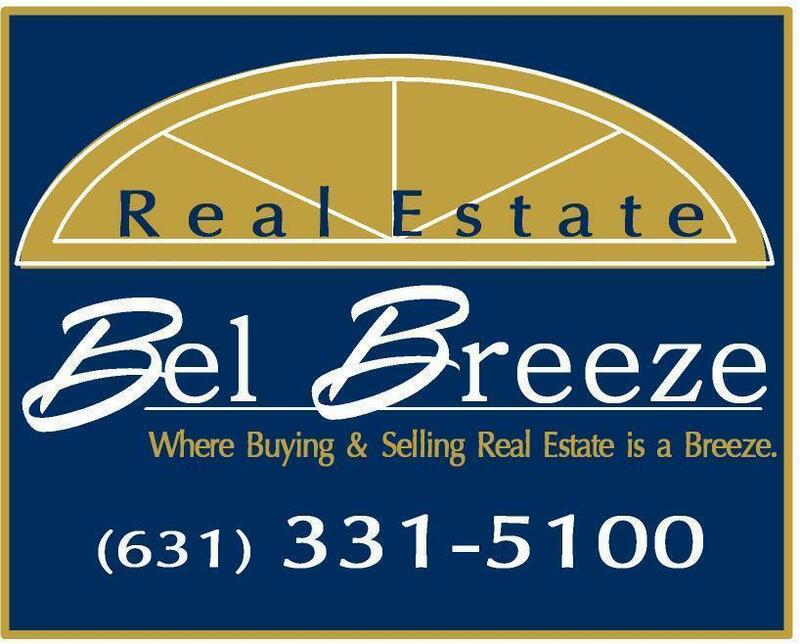 I would definitely recommend the Bel Breeze team! Bought a Single Family home in 2011 for approximately $475K in Setauket, NY. Victoria King from Bel Breeze helped me and my wife purchase our first home. She was very helpful and patient. As first time home buyers we had tons of questions. She answered all of them, as she is very knowledgable. Working with Victoria was very comfortable as we always felt like she cared, and had our best interests in mind. We are extremely happy in our new home and reccommend Victoria every chance we get! Sold a Single Family home in 2007 for approximately $475K in Smithtown, NY. Sold a Single Family home in 2008 for approximately $400K in Sound Beach, NY. They helped me sell one home and buy another. They are true professionals who know the area better than anyone else. I would highly recommend them to anyone looking to buy or sell a home.